About 2:15 am on 11/28/18, renters in a house in the 5000 block of Cape San Blas Rd. 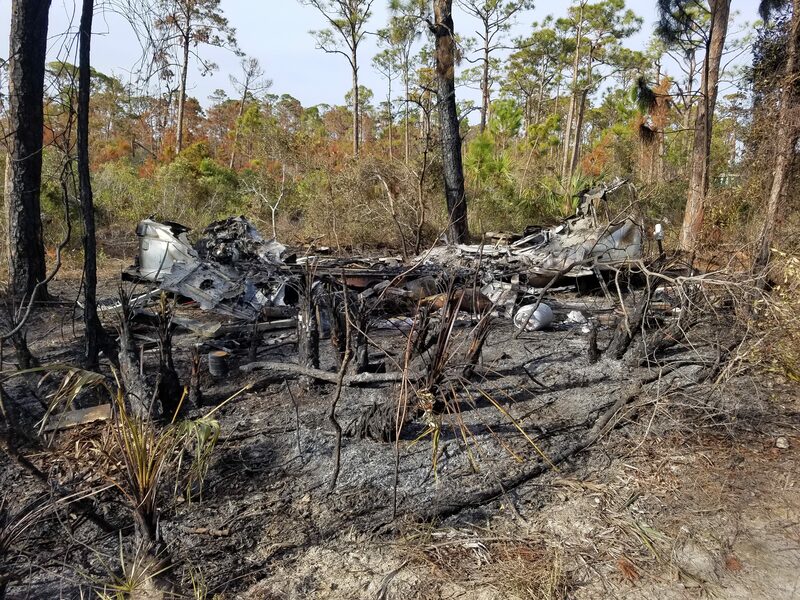 reported that a Airstream travel trailer parked nearby exploded and was in flames. We responded, along with Port St. Joe Fire Department. The trailer was totally destroyed and the woods nearby were in flames. All was extinguished without spreading too far. The cause of the fire has yet to be determined.